The 3.3m Plated Ground Mount Kit will convert Austral’s Compact 39 and Slenderline 20 to a free-standing, hard surface installation. 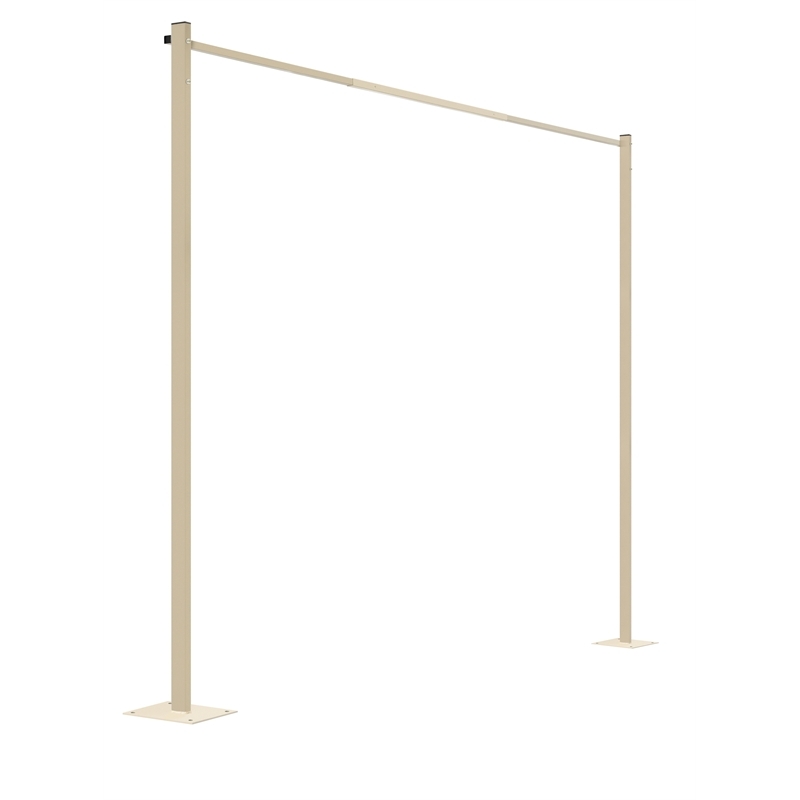 The 3.3m Plated Ground Mount Kit has a steel plate welded to the base of each Post, prior to powder coating. 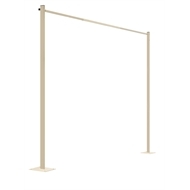 Suitable for free standing installations on hard surfaces i.e. cement slab, timber deck etc. 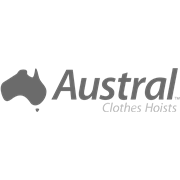 The Austral 3.3m Plated Ground Mount Kit will convert the Austral Fold Down Compact 39 and Slenderline 20 to a free standing option, on hard surfaces i.e. cement slab or timber deck. 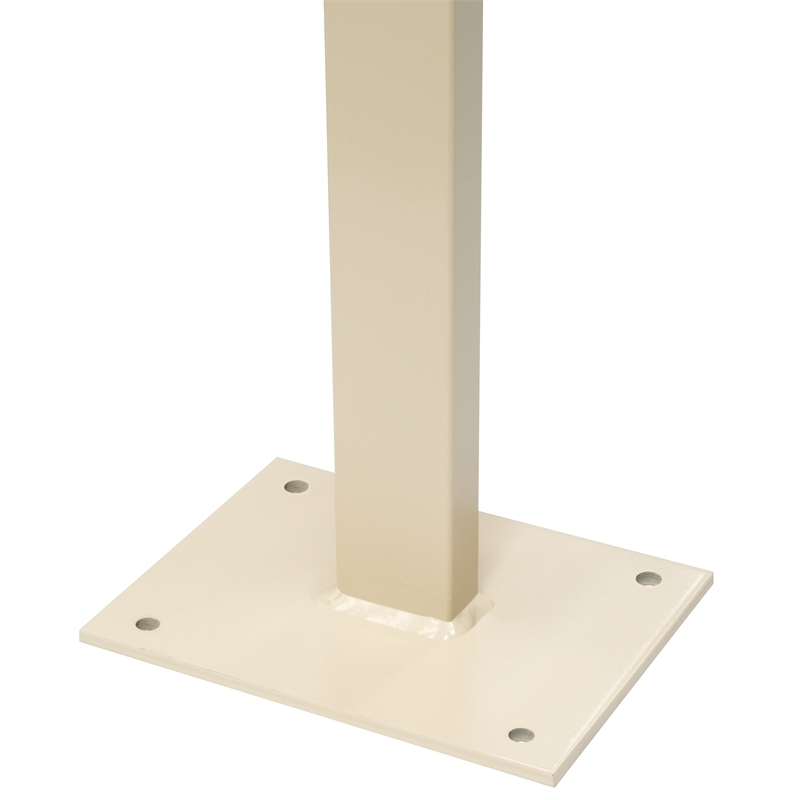 The 3.3m Plated Ground Mount Kit has a steel plate welded to the base of each Post, prior to powder coating. 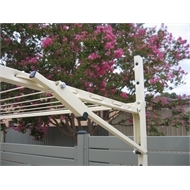 2xPlated Posts; 1xBack Bar; 1xAccessory Pack. Nuts & bolts to attach selected Fold Down are included. Plated Ground Mount Posts are suitable for hard surface fixing i.e. timber deck, concrete slab etc. Please seek advice if fixing to alternative surfaces.